Are you tired of being pestered by pests? If you’re like many homeowners in St. Augustine, chances are you deal with bugs in your home year round--but you don’t have to! If you’re sick and tired of sharing your home with these uninvited guests and are ready to get them out of your home once and for all, our pest control in St. Augustine is the solution! For more than 40 years, Paul’s Termite and Pest Control has been providing pest control in St. Augustine to homeowners just like you. And, there’s a good reason we have been the most trusted name for pest control near you for more than four decades. Our St. Augustine exterminators use a comprehensive, integrated pest management system that is effective and efficient at getting pests out of your home for good, all while delivering the best customer service experience possible. Not only will we get rid of pests in your home quickly and efficiently, but our exterminators in St. Augustine will keep them away for the long haul. We will monitor and treat your home on a continuous cycle, so we can take action quickly against any pests that try to move in. Over time, this will create a natural barrier against bugs and keep them out for good. You Can Save up to $60 on Pest Control! At Paul's Termite & Pest, existing termite and lawn customers can sign up for our monthly pest control in St. Augustine and save $60. Not a current customer? Check out our St. Augustine pest control coupons to find more great ways to save! When you call us to take care of your termite infestation in St. Augustine, we’ll get to work ASAP employing only the best and most effective termite control methods in the industry. Our St. Augustine termite exterminators use state-of-the-art Sentricon Colony Elimination Systems in at-risk locations in your home. This system is minimally invasive, so that means your family and loved ones aren’t in any danger! Once we have eliminated the existing infestation, we’ll make sure termites don’t come back with year-round monitoring. Our termite treatments in St. Augustine provide your home with long-term protection from termites without the hassle of monthly chemical treatments. Instead, we will provide regular inspections to check for termites in your home to ensure that every last one has been taken care of. Let us help you keep your home and your family safe from damaging termites today. Here at Paul's Termite & Pest Control, we know that bed bugs are stressful enough; you don't need your bed bug treatment to add to that pressure. This is why our chemical bed bug treatments in St. Augustine are less intrusive than other solutions. We pledge to get rid of ALL bed bugs in less than three visits. Don't waste another night obsessing about what's crawling in your mattress when getting rid of them can be so easy. Living in St. Augustine has many perks including warm weather all year round, beautiful beaches, and fun outdoor activities. However, the warmer months in Florida tend to not only bring more tourists, but also more mosquitoes and unwanted pests. Being a pest control company in St. Augustine for 40 years, Paul’s Termite & Pest Control is no stranger to the warmer months and breeding mosquitoes. Our St. Augustine exterminators are dedicated to keeping your home free of mosquitoes and your family free of bites during this mosquito-breeding season. Hoping to enjoy a mosquito-free home that lasts for the long haul? No need to worry, our exterminators in St. Augustine are dedicated to providing you and your family the most effective solution for you. We are dedicated to providing the best mosquito control in St. Augustine that we possibly can by doing the following. Mosquitoes are more than just annoying pests, they can also be extremely dangerous creatures that carry harmful diseases. These diseases include Zika Virus, Malaria, and Yellow Fever and can be extremely harmful to your family and pets. Keep your family safe with effective mosquito control in St. Augustine.  Paul’s Termite & Pest Control cares about the well-being of your family and is a company of local experts you can trust. You don’t have to feel uncomfortable in your home anymore. With our pest control in St. Augustine, you can get take your home back from pests and get the peace of mind knowing that your home and family are safe and secure. We are so confident that we will take care of your pest problems to your satisfaction that we personally guarantee it! This means that if you see bugs in your home in between treatments, one of our St. Augustine exterminators will come back and treat free of charge. You don’t have to face your pest problems alone. Paul’s Termite and Pest Control is here to help so you can get back to enjoying your home--without having to share it with uninvited guests. To keep your home and family safe year-round, let us help! Keep pests out of your home by contacting the professionals at Paul's Termite & Pest Control.